Hello you lovely lot, how is everyone? 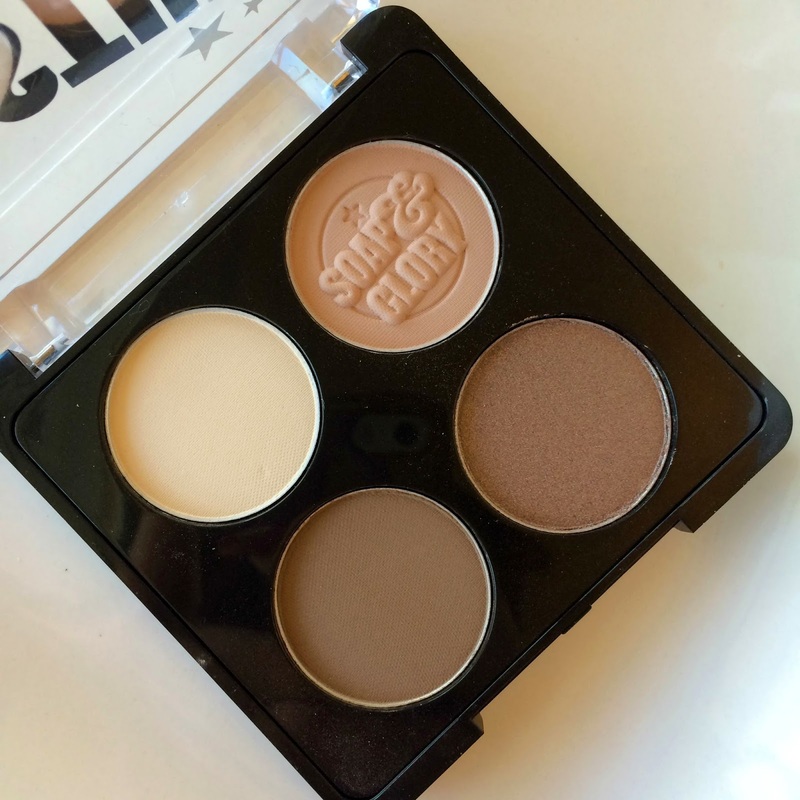 Today is a review of Soap & Glory's Lid Stuff Eyeshadow Quad in Nudes. They have 3 shades available but i went with the nudes as i like it had matte and shimmer shades. I havent tried many makeup products from the S&G Range but what i have tried i have loved so i was excited to try these out. The shades reminded me of the ones in the Naked Basics palette, i must be the only person who wasn't impressed with the lighter shades in the Naked Basics palette as i found they were not very pigmented and didn't last well at all. So when i saw this palette i was excited and i have to admit its my new love! 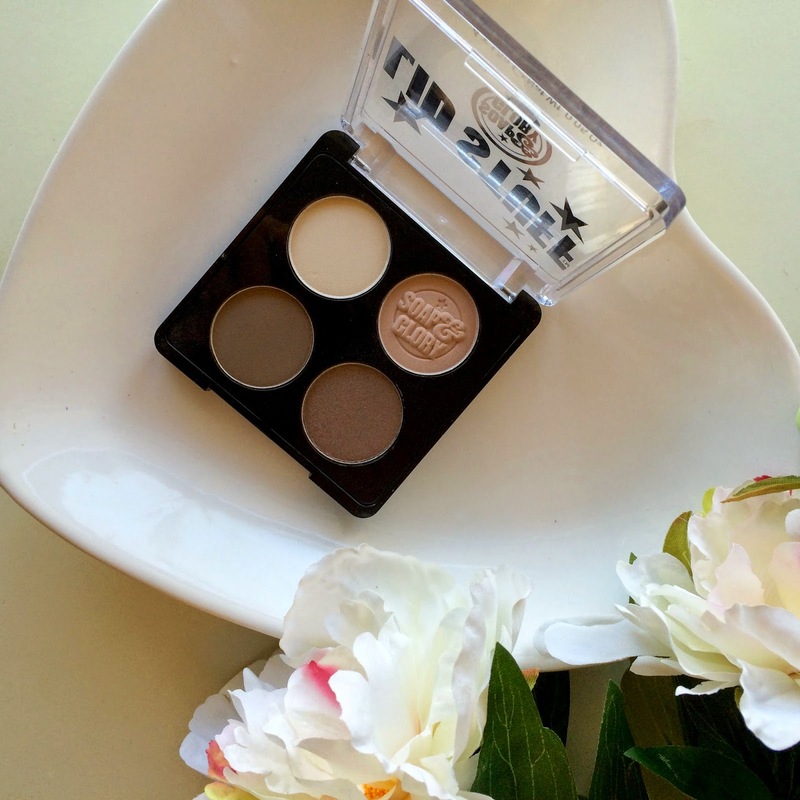 The lighter shades are perfect for all over the lid as you have a creamy "vanilla" shade and a pinky shade. Next you have a matte chocolate brown and a shimmery brownish purple which looks gorgeous on. As you can see above from the swatches,, (ignore my horrible nails they have been done today and look all pretty again) the colours are very pigmented especially the lighter ones. I have been using this palette everyday for the past week using all 4 shades and just adding winged eyeliner gives the perfect look. I definately recommend this more than the Naked Basics palette and this quad is £10.00 which i think is pretty good for the quality. I will definitely be repurchasing as soon as i run out. Have you tried any of these palettes yet? I loved reading this! I love neutral colours if I use any so will definitely be purchasing. Soap and glory are one of my faves as well! Great post! Soap and glory makeup has always intrigued me. The Beauty Tag | Favourites, Wants & Needs!